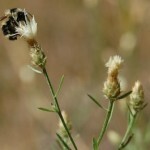 A “B” designated weed is a weed of economic importance, which is both locally abundant and abundant in neighboring counties. Perennial; flowers midsummer. Flowers are small, purple to white in color, and clustered. Although seed viability is low, production is very high to offset this shortcoming. Leaves are wavy, up to 6 inches in length, and armed with yellowish spines. The plant’s deep seated root system is extensive and branches out horizontally. 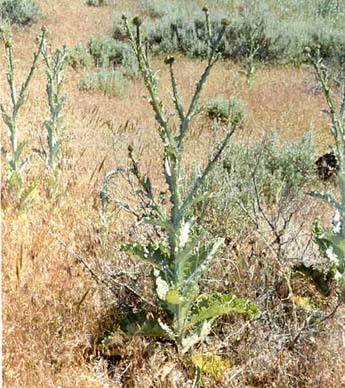 Canada thistle will invade a variety of areas, and can cause a reduction in crop production up to 25% in heavily infested areas. New infestations can be prompted by seed growth, but often times the root systems will grow after tillage. It is abundant in every county in Oregon. There are four approved biocontrols: a stem weevil, sead head weevil, stem gall fly, and a crown weevil. Mowing can be effective if combined with herbicide treatments. 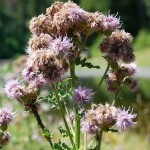 Under the correct management, alfalfa and grass fields can compete with Canada thistle. Perennial; flowers summer to fall. 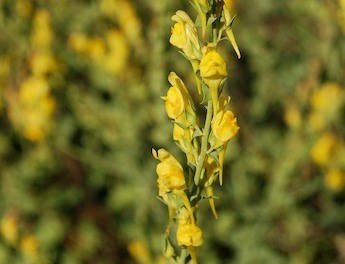 Yellow flowers are 1 inch long and look similar in appearance to snapdragons. Waxy, green, heart-shaped leaves are 1 to 3 inches long. Grows 2 to 3 feet in height. 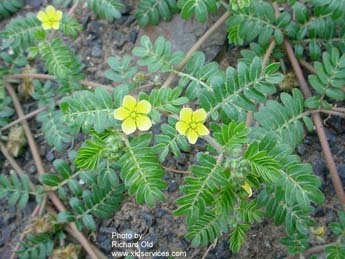 This plant thrives in arid rangelands as its deep roots can out compete desirable plant species for nutrients and water. It has limited distribution in Union County. Two biocontrols are approved for use in Oregon, a stem weevil and a flower feeding beetle. 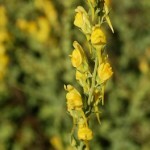 Effective and clean cultivation can control the spread of Dalmatian toadflax, as can several herbicides. Biennial; flowers midsummer to fall. Flowers white to rose, sometimes even purplish. Slender flower heads with pointed, fringed bracts. Single-stemmed, with many lateral branches. Grows up to 3 feet in height. Spreads by seed, mature plants can be tumbled or wind-blown. 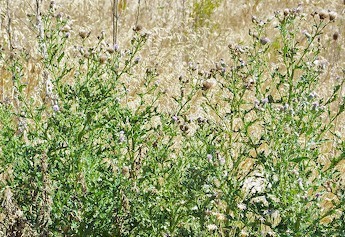 Diffuse knapweed forms dense stands on open ground, excluding desirable forage species. 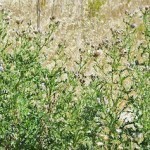 Oftentimes, costs of control and management of established stands of diffuse knapweed can outweigh the land’s income potential. Gloves are recommended when pulling plants by hand, as there are possible health hazards from skin absorption of the plant juices. 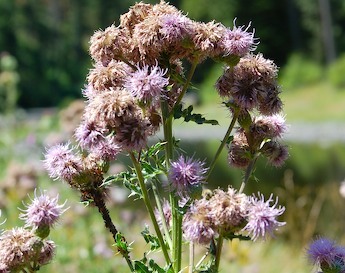 Diffuse knapweed has an abundant presence in Union and Wallowa Counties. 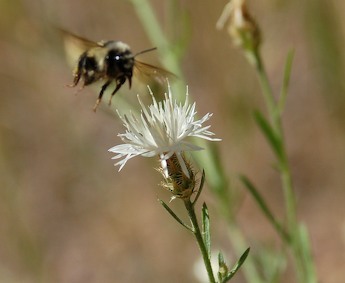 There are 14 biocontrol agents, 13 of which are approved for use in Oregon. 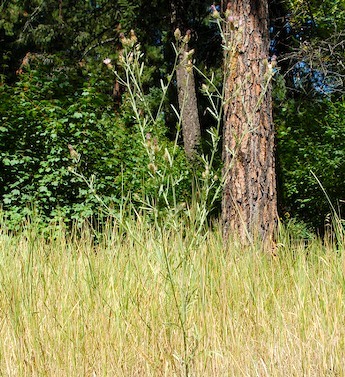 Selected herbicides are effective on rangelands. With appropriate timing and use of chemicals, herbicide treatments can be effective. Mechanical controls such as plowing, mowing, and burning can also be somewhat effective. Winter annual. 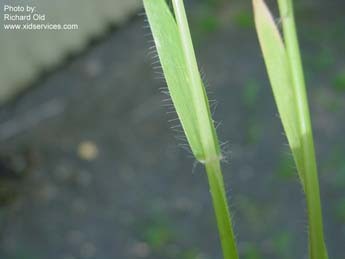 Spikelets awned, with the longest awns at the top of the spike. 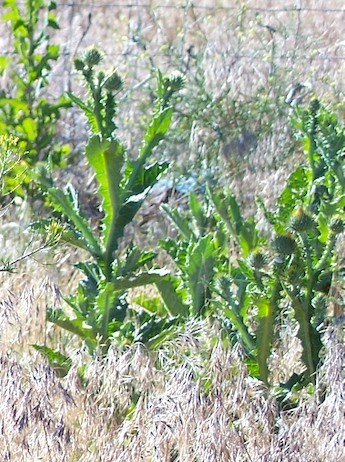 Spike heads break into individual segments at maturity. 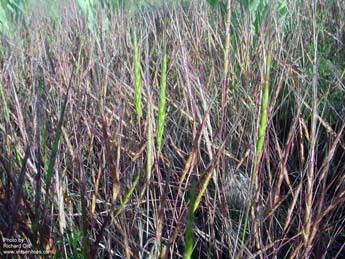 Blue-green foliage tends to lay flat until seed formation. 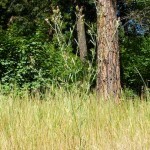 Jointed goatgrass grows best in cultivated fields but can invade grasslands. It can reduce cereal crop production up to 50%. It can also be a contaminant in cereal grains, such as winter wheat, affecting milling characteristics and reducing their value. 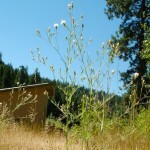 The plant was first reported in Baker County in 1956, and is now abundant in Union and Wallowa Counties. There is no approved biological control agent. Since the plant is so closely related to wheat, no herbicides or chemical controls can be effective on it without damaging the wheat crop. There are some available chemical controls for broadleaf crops. Annual; flowers July to October. 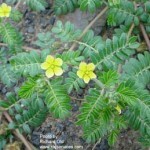 Flowers are yellow, ½ inch wide with five petals and borne on the leaf axil. 5 sections of fruits break into tack like spiny structures at maturity, each holding 2 to 4 seeds. 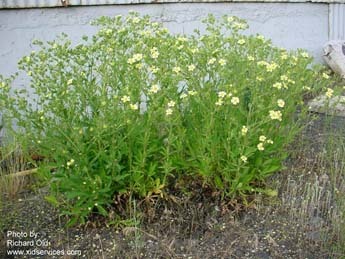 The plant is trailing and forms dense mats that can be up to 4 feet across. 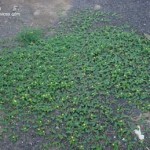 Leaves are ½ inch long, opposite, hairy, and divided into anywhere from 4 to 8 pairs of leaflets. 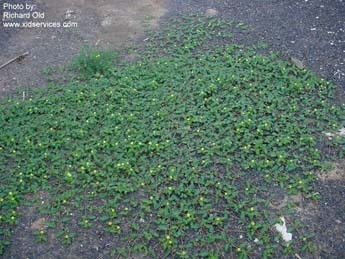 Puncturevine can infest fields, rangelands, roadsides, and other disturbed areas by forming dense mats with yellow flowers. The spiny fruits are easily transported by humans, animals, and vehicles. 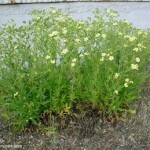 It can survive drought and poor soil conditions. 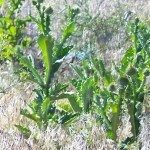 Puncturevine is abundant in Union County. A seed weevil and a stem weevil have both been approved and established as biocontrol agents in Oregon. 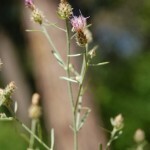 This weed is best controlled by hand removal or by hoeing to cut it off at its taproot. Repeated herbicide use can also be effective in control. Perennial; flowers midsummer. 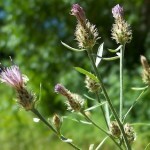 Numerous flowers per spike are pruple in color with 5 to 6 petals each. Spreads by seed and rhizomes that can form dense, woody mats. This upright, bushy plant grows up to 7 feet in height. 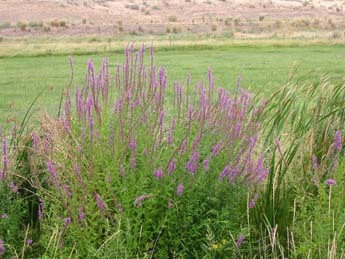 Purple loosestrife is best at invading marshes and natural wildlife habitat. Decreased songbird and waterfowl production has been well documented in heavily infested marsh areas. 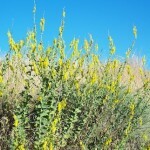 This plant is abundant in Union County. Four biocontrol agents are approved for use in Oregon, two leaf beetles, a root weevil, and a seed weevil. Small infestations can be controlled by mechanically removing stems and all underground roots. On larger infestations, repeated, timely, and post-monitored herbicide treatments can be effective. Biennial; flowers May to June. 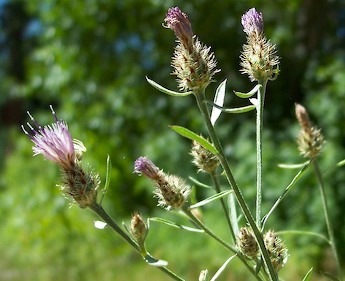 Purple flowers aid in proliferation by the spread of seed. 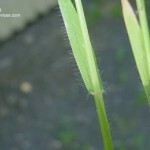 There is a large amount of soft, white hair on the leaf surface. Some plants can grow up to 10 feet in height, and they can form dense impenetrable stands by their spiny nature and large size. 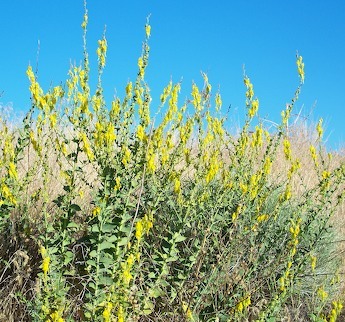 This wasteland weed has been known to invade overgrazed or disturbed rangelands. It can press into farmland and form dense canopies. It is abundant in Union County. 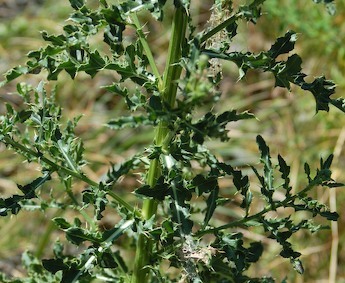 There are currently no biocontrols for scotch thistle. 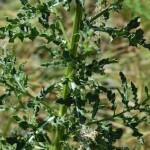 Chemical treatments as well as mechanical (digging to below the soil surface) can be effective in controlling this weed. Biennial; flowers midsummer to fall. Flowers purple, sometimes but rarely cream colored. 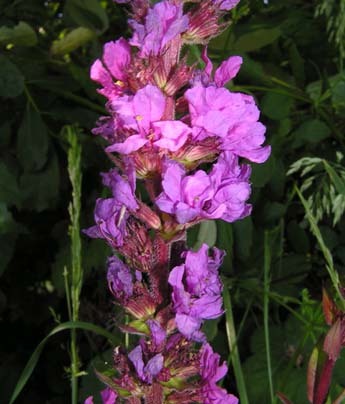 Bracts have black tips, producing a “spotted” appearance on the flower head. 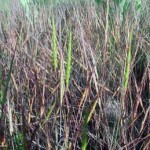 Multi-stemmed, several stems arising from the ground. Grows up to 3 feet in height. Infested acres, including prime rangelands and native habitat, have cost up to $54 million annually in Oregon. 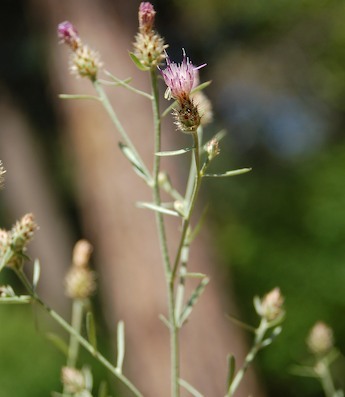 Seed longevity is a major detriment to control, and oftentimes costs of control and management of established stands of spotted knapweed can outweigh the land’s income potential. It has limited distribution in Union, Baker, and Wallowa Counties. 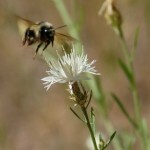 There are 13 biocontrol agents, 12 of which are approved for use in Oregon. With appropriate timing and use of chemicals, herbicide treatments can be effective, although prolonged seed viability is hard to control. Mechanical controls such as plowing, mowing, and burning can also be somewhat effective. 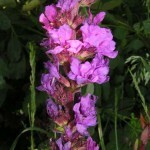 Perennial; flowers May to June. 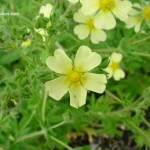 Flowers are light yellow in color and have five petals. Compound leaves with 5 to 7 leaflets per leaf. Grows 1 to 1 ½ feet in height. Sulfur cinquefoil is specifically a problem in old fields in northeast Oregon and can invade disturbed areas such as roadsides as well. 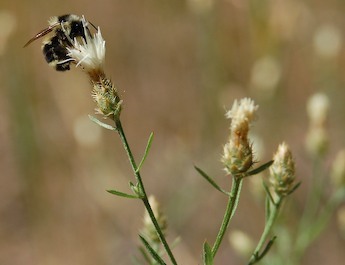 It has been known to replace yellow starthistle where soil moisture is adequate and where biocontrols have successfully controlled starthistle seed. 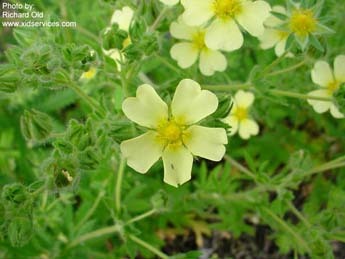 Sulfur cinquefoil has been known to out compete other noxious weeds. 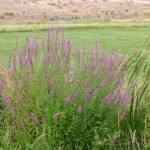 It is abundant in Union, Baker, and Wallowa counties. There are currently no approved biocontrols, but five insects have been targeted as potentially useful. Pulling can be useful in controlling small infestations, but herbicide use is more effective on larger stands. 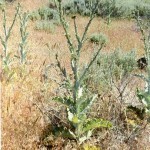 Prevention and promotion of desirable species are important in controlling the invasion of this weed.